Item has been viewed 674 times. Directions: From I-40 take exit 317 and turn south onto US-127 S/N Main St. toward Crossville/Jamestown for 1.2 miles. Turn right onto Northside Dr. for 3.1 miles. Turn right onto US-70 W for 413 ft. and the property will be on your left. Buyers Premium: No Buyers Premium will be charged for this auction. 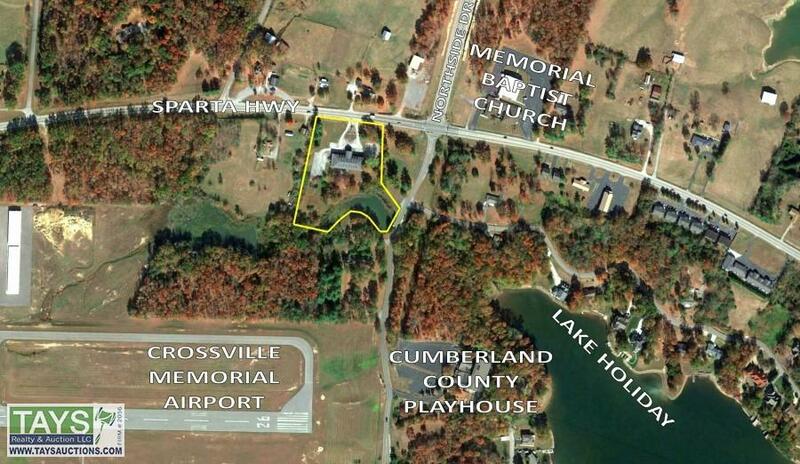 Lot Size: 6 Acres±. See Survey in 'Auction Documents' section. Easements: Subject to Implied Covenants or reciprocal negative easement with respect to continued maintenance of Lake Holiday & Easement recorded in Deed Book 213, Page 113. See Easement DB213 PG113 & Reciprocal Negative Easement in 'Auction Documents' section. Restrictions: Subject to the Plat, Prohibition against the use of any septic system except central sewer, Restrictions, & Amended Restrictions for Thunder Hollow Development. See Survey, Septic Prohibition, Restrictions, & Amended Restrictions in 'Auction Documents' section. Mineral Rights: Subject to Mineral Rights sold to Universal Services Corporation. See Oil & Gas Rights in 'Auction Documents' section. Electricity: Volunteer Electric Co-Op . Call customer service at 931-484-3527 for more information on applicable set-up & deposit fees. Water: City of Crossville. Call customer service at 931-484-5113 for more information on applicable set-up & deposit fees. Natural Gas: Middle Tennessee Natural Gas. Call customer service at 931-484-2067 for more information on applicable set-up & deposit fees. Sewer: City of Crossville. Call customer service at 931-484-5113 for more information on applicable set-up & deposit fees. 2019 taxes will be paid by the Buyer. Court Auction: The property will sell to the highest bidder upon Court Confirmation. This is a Chancery Court Auction wherein the high bid shall remain open for a period of 10 (ten) days from the closing of the auction. Should the bid be raised by 10%, the Chancery Court Clerk will set the final ending date for the auction. Agreement of Purchase and Sale: The purchaser(s) shall execute an agreement of purchase and sale, in the form provided by the Clerk & Master, without modification, immediately after being declared the high bidder. Payment: The purchaser(s) shall pay an amount equal to 20% of the total contract sales price to the Clerk & Master on the day of the sale. The Clerk & Master shall accept the following forms of payment: wire transfer or personal check. There may be a fee associated with payment of the deposit or purchase money by wire transfer. Contact the Auctioneer if you intend to pay this way. Deed: Seller shall provide a Clerk & Master's deed unless otherwise stated. Closing Costs: No closing costs will be paid by the seller. Survey: The property will be conveyed according to the current or existing survey & description, current or existing survey is available.